I look better with a little color on my body during the summer but with the talk about sun safety, I definitely wouldn't tan myself under the sun so I just fake it. Finding the right mix of products to achieve a natural looking fake tan has been a challenge for many summers but I'm seeing an end to my my quest this year with these three. haven't used any self tanners in a few years but was excited when I read about this award winning botanical based line from Ireland. The chemical and paraben free mousse formula which dispenses via a pump has a subtle touch of color and smooth texture that makes it easy to apply which I do with their application mitt. It dries quickly allowing me to get on with what I have to do without worry about trailing any residue. This is the first self tanner I've used which you have to rinse off. I usually leave it on for an hour and a half and the color which develops is believably bronzed and natural looking without any hint of orange. I really liked the pleasant and very light citrus scent which wears off pretty quickly. The color lasts for about a week during which it gradually lightens. I use BB cream on my face so why not on my body. This product works well on it's own and also helps to extend the life of my self tan. The lightly tinted cream hydrates my skin and imparts a luminous glow with a slight touch of color. With continued use I've noticed that it does actually enhance and improve the look of my skin while minimizing the look of imperfections like that bug bite I got last week while sitting out on my terrace. This oil effectively moisturizes and smooths my skin leaving a soft glowy sheen which nicely compliments to my enhanced color. The vitamin E enriched blend of grape seed, jojoba, sweet almond, argan and evening primrose oils is emollient without being greasy and a little goes a long way. It absorbs well. I use this on my arms and shoulders as well as my legs. I think I might be using this one during the winter months when my skin is drier as well. Do you fake a summer glow? What products do you swear by? I am always scared to try tanning products. I always feel they leave streaks I will check out these products though. I have the BB Body Cream but I don't think it does much. But maybe I'd notice more of a difference if I used more than one product like you mentioned. I love the idea of a glowy sheen. Great tips I need to try origin product. 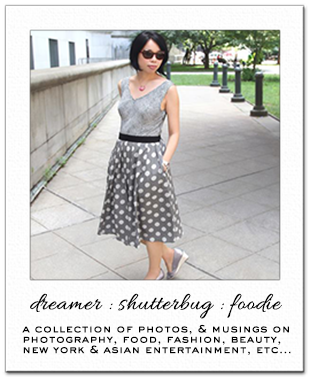 have you seen my new outfit posts ? Would like to hear your thoughts on it! Have a nice day ! Great products, would love to see how it looks on you! 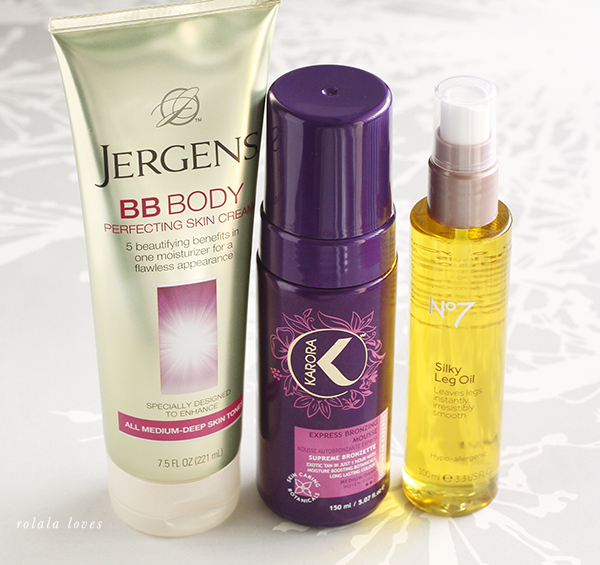 I like Jergens product and that BB body cream is really interesting! I will check them out! This looks like a really great idea. Hi Rowena: The idea of having tan skin never really crossed my mind until moving to the US. As you know most ladies in Asia prefer lighter skin tone but I think tan skin is as beautiful. My baby step is to start with Bronzer. Your picks look like good combo. I am slowly making my way back to Blogger. Gotta hate Instagram, it is so easy to use and addictive. sounds like a great way to sport a tan! Yep I do, and that BB cream sounds great! It must be good if you can use it on your body. And I will check out that oil in the fall for sure. I like to use oils in the colder months. These products sound interesting Rowena!!! I don't use and either will go to the beach, but I saw some good products with nice results. Thanks for the recommendations Rowena! The blend of oils sounds awesome and I definitely recommend jojoba oil for moisturizing! I'd like to try that leg oil. Sounds really good. Great options for those who don't want to grill under the sun! Really enjoyed reading through this post! Fake tan is the only way to go Most healthy anyhow and I do like Jergen's products I have to look for that leg oil as I do love the boots line as well! Great post as always!! I really need to try that silky leg oil. This is my first time hearing of these three brands, not familiar with them, perhaps coz I don't do tanning *_^ Don't think we have them here as well. Good to know that at least the Karora mousse is paraben-free! I'm faking a tan right now, on my legs anyway. I use the silk oil. It makes them so soft! I'm stopping by from SITS & I hope you have a great Sunday! I use Jergens! It's soooooo good! Great post Rowena. I use Jergens! It's sooooo good! Great post Rowena!